Ashka Patel (11) is a staff writer in her first year at the Irvington Voice. 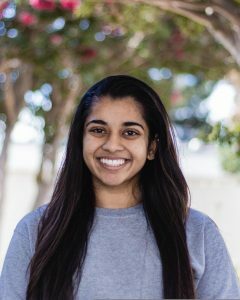 Her interest in journalism is fueled by her curiosity for new things, and she hopes to utilize the newspaper platform to share her opinions on a larger scale. When she is not reporting, one can find her taking pictures of her two dogs or dancing in her cheerleading uniform at football games.